Zurich (AP) — FIFA has confirmed the seven highest-ranked nations joining host Russia as top-seeded teams in the World Cup finals draw. France rise one place to No. 7 to edge out Spain, as defending champions Germany head an unchanged top six. After a busy qualifying program last week, Brazil, Portugal, Argentina, Belgium and Poland are also top-seeded for the Dec. 1 draw in Moscow. FIFA uses October rankings to decide all four seeding pots despite nine places in the 32-team World Cup finals lineup to be decided in November. 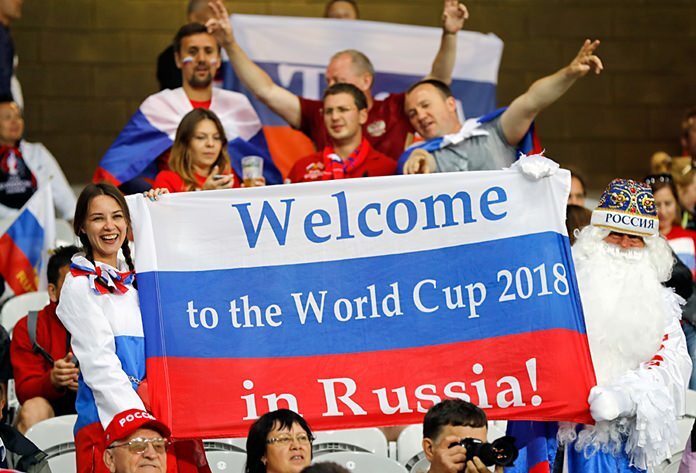 Russia are top-seeded for the World Cup despite being ranked No. 65. Chile at No. 9 are the highest-ranked team eliminated from the World Cup. Mexico at No. 16 head CONCACAF teams. Tunisia at No. 28 are Africa’s best, and No. 34 Iran lead Asia.